After 36 years working for the CIF, Joe O’Brien has retired as the Federation’s Director Southern Region. Joe started his career with the CIF as Secretary Cork/Kerry Region in 1979 after a Christmas Eve phone call from then CIF Director General Tom Reynolds offering him the job. 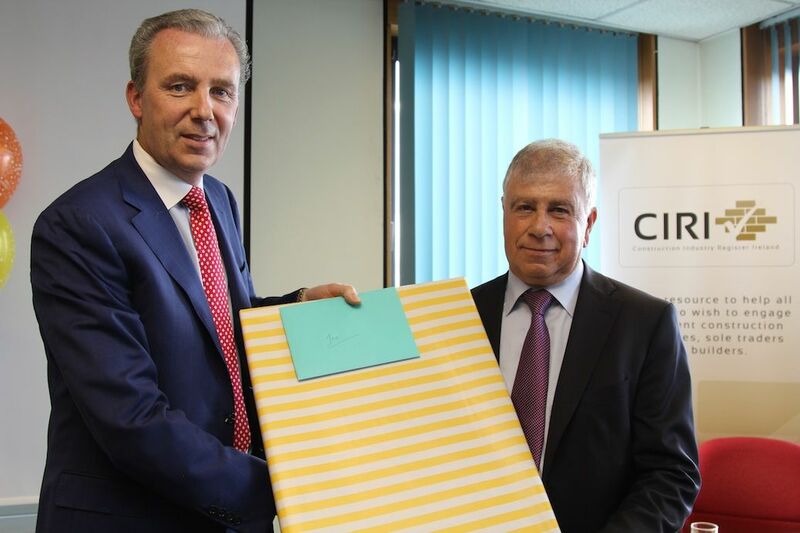 CIF President Michael Stone (L) presents Joe O’Brien with a retirement gift from CIF staff. 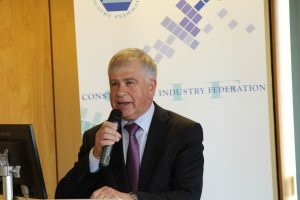 He remembers the 1980s for its long recession but also intense employment disputes – “lots of IR issues” – that required tough negotiations with the unions. 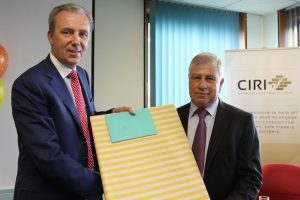 During his time as the CIF’s senior person in Cork Joe has served with just three Director Generals: Tom Reynolds, Liam Kelleher and Tom Parlon. “All three were very different but all worked very well for the Federation,” he says. After four decades in the same industry Joe says it feels like he knows everyone in construction: “In fact, I’m so long in the game I’m working with the sons of the fathers I was dealing with in the 1980s,” he explains. Joe oversaw the move from the original CIF Cork office in Montenotte to the purpose built office in Eastgate the CIF now occupies. Asked if it was a stressful job he says it can be, but “only if you let it”.